John Kerry claimed the Palestinian leadership enables terrorism as he defended the U.S. decision to let the U.N. resolution on Israeli settlements pass. After kicking off his speech on the Israeli-Palestinian conflict Wednesday with a lengthy condemnation of what he called Palestinian terror and the Palestinian leadership’s alleged celebration of “terrorists,” U.S. Secretary of State John Kerry found a few minutes to defend his country’s abstention in the United Nations vote on a resolution against Israeli illegal settlements. His 70-minute speech came just days after the United States abstained in the Dec. 23 United Nations vote in what many see as a parting shot by U.S. President Barack Obama, who had a tense relationship with Netanyahu. Kerry defended Obama’s commitment to Israel’s security, mentioning how Washington has shielded Israel from being prosecuted at the International Criminal Court and the U.N., as well as other international platforms. Earlier this year, Obama approved US$38 billion in military assistance for Israel over the next decade, the biggest such package in the country’s history. 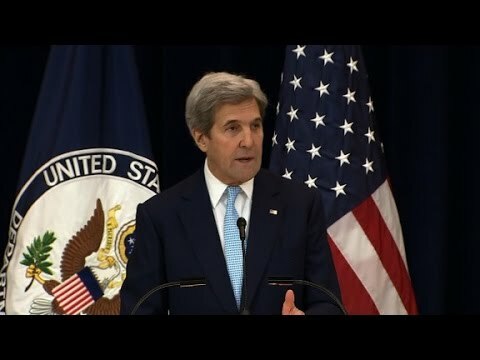 Kerry then went on to slam “Palestinian terror” against Israel, referring to the recent surge in stabbing attacks against occupying forces in the West Bank and illegal settlers, further claiming that the Palestinian leadership and ruling party Fatah have been celebrating those attackers and naming streets and squares after them. But the top U.S. diplomat found some room later on in his speech to criticize Israel for the occupation, settlements and the increasingly right-wing politics in the government. But Israelis are looking past Obama and expect they will receive more favorable treatment from Trump, who takes office on Jan. 20. The Republican used his Twitter account on Wednesday to denounce the Obama administration, including its U.N. vote, and the nuclear accord it reached with Iran last year. Trump had openly lobbied against the U.N. resolution and would be expected to veto any further ones deemed anti-Israel. He has vowed to move the U.S. Embassy from Tel Aviv to Jerusalem and has appointed as ambassador a lawyer who raised money for a major Jewish settlement, has cast doubt on the idea of a two-state solution and even advocated for Israel’s annexation of the West Bank, a notion even further to the right of Netanyahu’s own stance.